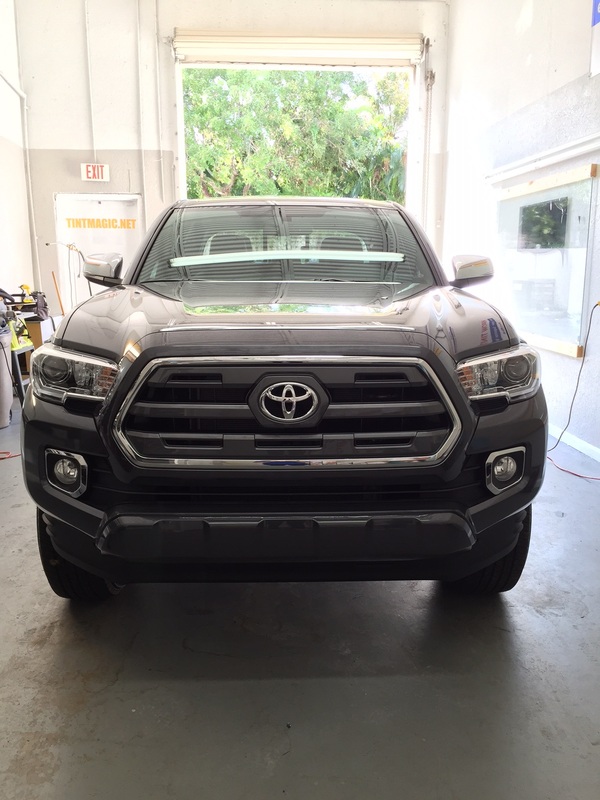 Toyota Tacoma at Tint Magic Window Tinting Coral Springs. We have applied 25% Carbon window film to match the shade with back windows. 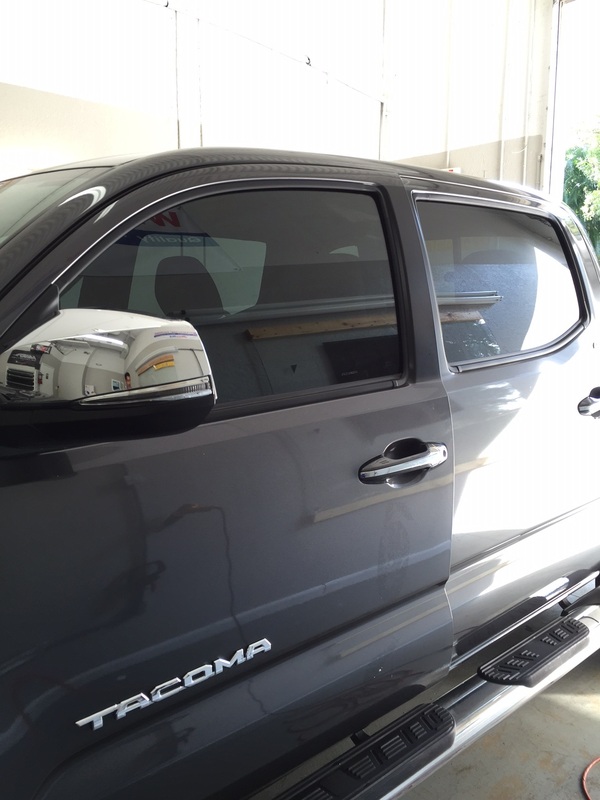 Call us for the best computer cut window tint! (954) 840-7883. The tried-and-true Tacoma is a mainstay of the mid-size truck world, with an amazing 29 different versions to meet the demanding needs of equally demanding drivers. A 159-hp 2.7-liter four-cylinder is standard; a 278-hp 3.5-liter V-6 is optional. Both manual and automatic transmissions are available as are rear-wheel and four-wheel drive. The rough-and-tumble TRD Off-Road adds a dual-range transfer case, raised suspension, and an extra dose of visual machismo. The ads are spot-on, but we think they work much better for the square-jawed, ready-for-anything Toyota Tacoma. Granted, the updated-for-2016 Toyota, lost its first comparison test to the Colorado but it has an ace up its sleeve: an available manual transmission. Put in marketing terms, everyone knows that rowing a stick, especially with a bed behind you and four-wheel drive under the chassis, is just plain manly. Industry-wide, from sports cars to economy cars, the trend away from stick shifts continues. Nissan’s Frontier still can be had with a stick, but that truck is ancient. The Tacoma’s primary competitor, the Colorado, offers a stick only in the rear-drive, four-cylinder, base-model “Work Truck,” which is as unappealing for everyday use as it sounds. Toyota puts its manual option right where off-road enthusiasts want it, in select four-wheel-drive Tacoma variants like the TRD Off-Road model tested here—and it even lets you pair the stick with a V-6. There are actually two manuals in the Tacoma lineup, and either replaces the six-speed automatic that’s standard on nearly every Tacoma. On the base Tacoma SR extended-cab 4×4, which uses a 2.7-liter four-cylinder, the manual has five forward ratios. In the V-6–powered extended-cab or four-door Double Cab TRD Sport and Double Cab–only TRD Off-Road models, the stick has six speeds.